Lerner and Rowe Injury Attorneys is here with driving safety tips for the Pacific Northwest. 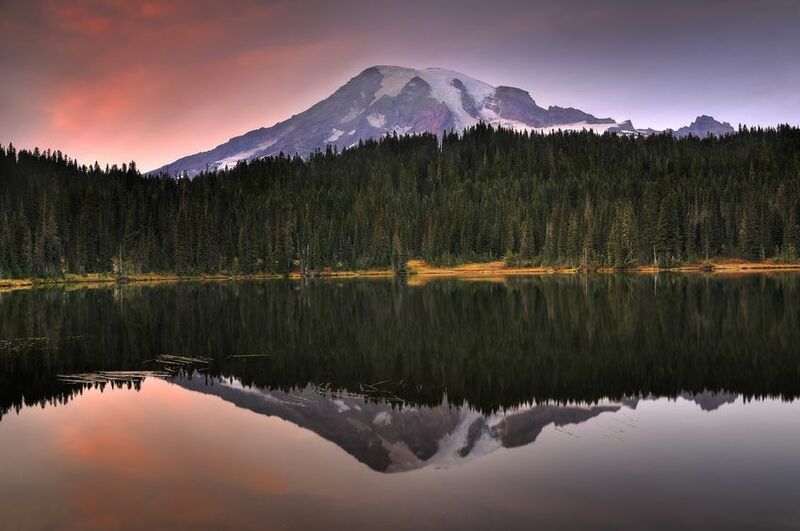 Road trips can be awesome, and what better place to journey than the Pacific Northwest? Throughout Oregon and Washington, there is a lot to see and plenty to do. However, driving can be treacherous, especially for those unfamiliar with the area. Before you pack your bags for Oregon or Washington, you should know how to keep yourself safe while on the road. Lerner and Rowe wants you to stay safe as you venture to your destination, so here are 11 driving safety tips for the Pacific Northwest. Keep in mind, the Pacific Northwest is mountainous. Many of the roads that wend their way through the states are also twisted and curvy. Furthermore, as you drive your car, you’ll notice that the roads are narrow, far from straight, and often bumpy and uneven. The erratic roads are due to the time in which the towns were built; pioneers had to account for the natural landscape of the mountainous terrain. Therefore, watch out for unexpected, sharp turns, as they can be treacherous. Above all, don’t drive too fast while on such roads. By taking it easy, you increase your odds of getting to your destination in one piece! Additionally, there are plenty of tunnels installed on these roads, and they may not offer high visibility. Follow posted speed limits and watch your surroundings, and use your headlights when necessary. While the residents of Washington and Oregon are known for their friendly dispositions, they can sometimes act frustratingly or irrationally. For instance, be wary of people jaywalking, even when they don’t have the right of way. Ultimately, your best course of action is to slow down in populated towns and stay alert. Also, because of excellent weather and gorgeous scenery, there are plenty of cyclists in the Pacific Northwest, too. In the same way you would yield to pedestrians, you should certainly keep an eye out for cyclists, as well. If bike lanes are not available, you may even find cyclists occasionally sharing lanes with your car. Key takeaway — don’t drive aggressively around pedestrians or cyclists! Be patient. You don’t want to hurt yourself or others, so drive safely. You wouldn’t want accident lawyers coming after you. Probably one of the most important driving safety tips for the Pacific Northwest involves the weather. While you will see some sunshine in Washington and Oregon, you will probably see even more rain. Therefore, take the proper precautions and make sure you drive accordingly. When the weather is suboptimal, leave for your destination a little earlier. Expect delays, and always obey the traffic laws. Driving too fast on slippery roads can cause you to hydroplane and get in an accident. Therefore, If it’s raining heavily, use your car lights and windshield wipers. Also, if the weather is exceptionally bad, you may want to not drive at all. Consider staying at your hotel of choice and having a nice meal or watching a movie. Keeping in mind the weather and other conditions, you should dress according to the environment. The weather in Oregon and Washington is cool but not too chilly. Depending on the season and time of day, the temperature could be anywhere from 40 degrees Fahrenheit to the high 80s. Wear clothes that will keep you comfortable. In addition to this, keep in mind that the weather isn’t the only factor that will determine your choice of clothing. If you are stuck in traffic, for example, you don’t want to be wearing a heavy jacket. AS such, try to learn what the traffic conditions will be like ahead of time. If there are accidents or other hazards that will keep you on the road longer, take off your jackets and other heavy clothing – you’ll be on the road a while. If you think you’ll reach your destination quickly, it’s fine to wear whatever clothing you think is appropriate. As another one of the most crucial driving safety tips for the Pacific Northwest, packing the right gear can save you in a variety of situations. For example, while the snowfall levels in Oregon and Washington may not be overwhelming, your car may still need chains to operate efficiently. Keeping a first aid kit in your car is also a good idea since the unexpected can always happen. Other tools such as a car jack and air pump are welcome additions too, and a spare tire should always be in your vehicle, if one can fit. Other gear you may to pack in your vehicle in case of emergencies include a fire blanket, a flashlight, jumper cables, and more. Yes, it’s true – rush hour is alive and well in the Pacific Northwest. While most major cities experience some form of slowed traffic when people go to/leave from work, the traffic can be especially frustrating in Washington and Oregon. Keep in mind that the hours of 6:00 a.m. – 9:00 a.m. and 3:00 p.m. – 7:00 p.m. are often the busiest, and if you’re driving during these times, prepare for traffic. At any rate, the make and model of your vehicle doesn’t necessarily matter when it comes to traffic; all vehicles are affected. You might as well try to get comfortable and enjoy the ride. Consider listening to soothing music on the radio, or listen to a news station to take your mind off the traffic. You can even have a conversation with any passengers you’ve brought with you, but don’t let them distract you too much. If you do get in an accident during rush hour, though, get in touch with some expert accident lawyers in the Pacific Northwest. Keeping in line with the frustrating traffic of rush hour, the drivers of Washington and Oregon can be frustrating regardless of what time of day. In fact, Washington has some of the worst drivers in the entire country, and Oregon isn’t too far behind, according to a recent report. Add on to this statistic the fact that many Pacific Northwest drivers still don’t know how to optimally drive in the rain – even though they experience the rain quite a bit. Likewise, some Oregon and Washington drivers will drive the speed limit or under, may cut you off when they need to merge at the last second, or may do other bad things to otherwise upset you. To combat this, drive defensively. Let them be the aggressors, and steer clear. Keep plenty of space between yourself and other drivers. You don’t want to get in an accident with a driver who is already in a state of road rage. If you’re unfamiliar with Washington and Oregon roads, you are in for a treat; well, the news may be more bitter than sweet. Oregon and Washington have plenty of one-way streets with no left-turn signals. Therefore, if you miss your turn, you could be headed down a stretch of road for quite a while without being able to escape. Using a GPS and getting familiar with the area can help make sure you’re on track so you don’t have to travel longer. Having a sturdy, dependable vehicle is one of the driving safety tips for the Pacific Northwest that people forget the most. Even if you’re a good driver and know the area, your vehicle must be in tip-top shape before departing. First, inspect your vehicle. You can do this yourself, or you can have a licensed mechanic perform the inspection. Make sure the fluids are filled, the brakes and engine are working, your lights are functioning, etc. Next, you should make sure your vehicle is suited for the Pacific Northwest. Because of the terrain and weather, you’ll want a vehicle that has a powerful engine to push you up those hills. Additionally, your vehicle should have a low center of gravity – taller, heavier vehicles can topple more easily, especially when making sharp turns. If you’re traveling along the Pacific Northwest for the first time, the traffic laws may be significantly different from what you’re used to. For instance, the one-way streets and no left-turn lanes were already mentioned, but did you know that in Oregon, it is illegal to drive beside or pass a truck while in a roundabout? In Washington, as another example, it is illegal to use an electronic device that isn’t hands-free while driving (with certain exceptions). Knowing the traffic laws of the state you’re travelling in will help save you time and energy. Above all, though, it will keep you safer. Many people overlook their moods when they step into their vehicle. The truth is that your mood heavily influences how you drive. Make sure you’re absolutely calm while on the road. Whether you’re excited because you just got a promotion or furious because you got fired, extreme emotions are not conducive to a safe driving experience. So, center yourself before you start your car by taking a few minutes of deep breathing before you drive. Starting at 100, try subtracting intervals of seven to keep your mind focused and in the present moment. You can feel free to use other mental exercises to keep you alert, as well. Have You Gotten in an Accident in the Pacific Northwest? If you’ve been in an automobile accident, contact Lerner and Rowe Injury Attorneys! Our legal team is standing by and ready to address your concerns. Call us anytime at 844-977-1900, or feel free to contact us online and use our LiveChat feature. Consultations are free, and we don’t collect a penny until we win your case. So don’t wait; contact Lerner and Rowe today!